Uganda’s proposed NGO Bill – Regulating or Silencing? A quick Google News search on Uganda these days reveals what seems to be significant political turmoil. Earlier this month, several international and national civil society organisations, most prominently Human Rights Watch and Chapter Four Uganda, publically criticised a proposed Non-Governmental Organisation (NGO) Bill, which is currently awaiting debate in Parliament. According to critics, the bill, if put into law in its current composition, will have detrimental effects on the rights of freedom of expression and association, and therefore is expected to “greatly undermine the growth and development of a publically accountable NGO Sector in Uganda”. With the Government currently in its initial stages of preparing for the upcoming 2016 Presidential elections, observers suspect the timing of the bill is no coincidence. Considering numerous concerns about President Museveni’s wish to be re-elected and the recent arrest of two possible presidential candidates, this assumption might prove valid after all. A complete version of the heavily debated NGO Bill was published in the Government Gazette in early April 2015, and is currently awaiting debate in Parliament in the months to come (United Nations Human Rights). For clarification, the proposed bill aims to “repeal and replace” the already existing so-called Non-Governmental Organisation Registration Act of 2006, which is currently the legal basis of NGO regulation in the east African nation. And yes, NGO registration seems necessary in a country where more than 12,500 NGOs were registered in 2013, compared to around 8,300 in 2009, and even less than 200 in 1986 (a historic year for Uganda, as Yoweri Museveni was inaugurated as President and has held that position ever since). Considering the high number of registered NGOs, one might legitimately question their presence and efficiency. Any doubts may disappear when one realises that, according to Chapter Four Uganda (a non-profit civil liberties organisation based in Kampala), NGOs are indispensable providers of healthcare and well-being in the country with approximately 37 million inhabitants. They currently account for up to 40% of total health services provided. Of particular importance and necessity is the work of NGOs in (often rural) areas where people do not have access to Government-provided services, including health and education. While healthcare and education are the two most dominant spheres of NGO presence in Uganda, Chapter Four further points out that the past two decades have witnessed an upsurge in organisations focusing on “advocacy, policy influencing and rights work”. Here we are talking about groups dedicated to human rights, good governance, land rights and regulation of the oil industry, among other highly sensitive and government-critical issues. It is those organisations that are now at centre stage of the public outcry over the bill, fearing for their existence if the bill is passed into law. As mentioned above, a current legal framework for NGOs does exist and, according to Chapter Four Uganda, has been under much criticism by NGOs operating in Uganda in the past. This is where the 2015 proposal would be welcome and could step in and fill the loopholes, ameliorating the working environment for organisations. Quoting Chapter Four, “in principle, there is nothing wrong with amending legislations for as long as it seeks to positively address gaps in existing laws”. It is exactly these gaps that the Government is pushing to fill, with advocates of the 2015 proposal explaining, “The rapid growth of Non-Governmental Organisations has led to subversive methods of work and activities, which in turn undermine accountability and transparency in the sector”. The official aim of passing the bill into domestic law then, is to “create an enabling environment” for NGOs in Uganda to operate in. Responsibility for creating this enabling environment would be given to the Government’s Internal Affairs Minister, who would oversee the National Board for Non-Governmental Organisations. According to Human Rights Watch, their powers would include the ability “to supervise, approve, inspect and dissolve all non-governmental organisations and community based organisations (…)”. The bill furthermore includes the provision that both existing NGOs and those planning to start up need to register for an operational permit. Fair enough – formal recognition could indeed improve the transparency and efficiency of the sector. However, digging a little deeper, civil society groups suspect devastating outcomes for their future. In a publication by Human Rights Watch earlier this month, the organisation, together with thirteen other local and international NGOs, warned that the proposed bill would drastically limit the scope within which NGOs can fulfil their work – and, in parallel, result in exorbitant levels of Government control over the sector. So what’s the issue with the bill? The main concern – highlighted in numerous publications from international and Ugandan civil society actors – lies within the “troubling, broad, vaguely worded provisions” which recur throughout the bill. To give an example, the National Board for Non-Governmental Organisations, the responsible authority, would be granted power to refuse permits for organisations that seem to be engaged in acts “prejudicial to the security of Uganda and the dignity of the people of Uganda”. Furthermore, as Human Rights Watch outlines, it includes the provision that NGOs could be prohibited from operation if “it is in the public interest to refuse to register the organisation, or (…) for any other reason that the Board may deem relevant”. Of course no NGO or Government should ever threaten or harm the security of a nation and the dignity of its people. The question that remains essential, however, is who actually defines what poses a threat to the dignity of the people. This is where Human Rights Watch, Chapter Four and numerous other concerned parties step into the debate. According to the current composition of the bill, it would be the Board, headed by the Minister of Internal Affairs. ‘Public Interest’ is not defined or elaborated in the proposal. Hence, it would be up to subjective evaluation by the authorities. It is unfortunately a reality that national security, rather than human security and the well-being of individuals, is the top priority on governmental agendas on a global scale – we are not only talking about Uganda, Sub Saharan Africa or the ‘Global South’ here. Clearly it is not in any government’s interest to be examined or critiqued. Yet, isn’t this exactly what makes the majority of NGOs, Community Based Organisations and civil society activists of such great importance, considering they act as a voice for people who are not heard? One of the elements that makes NGOs so important is the fact that they can act as watchdogs of inequality and injustice. The second concern being raised is over the criminalisation of the sector, which refers to the fact that the proposal envisages high penalties if operating without an official permit. Legal consequences include “fines, prosecution and criminal penalties of between four and eight years in prison” for the head of the organisation. While advocates of the bill argue that the possible consequences will ultimately result in an overall increase in registered NGOs (and hence transparency), it could go the other way round as well: organisations working on issues that are very likely to be deemed as “against public interest” might decide to operate on an informal level, considering their low chances of being granted a permit in the first place. In addition, the criminalisation process does not begin and end with penalties. Human Rights Watch criticises the fact that the provision, in its current composition, would give members of the Board permission to inspect the premises of organisations “at any reasonable time” which includes giving them the power to demand documents and speak to any member of staff. For most people, this does sound more like an investigation of a crime scene rather than promoting the development of the sector. It is this form of “control and monitoring”, putting the fate of NGOs into the hands of the Government, that is at the very core of critics’ arguments and concerns. 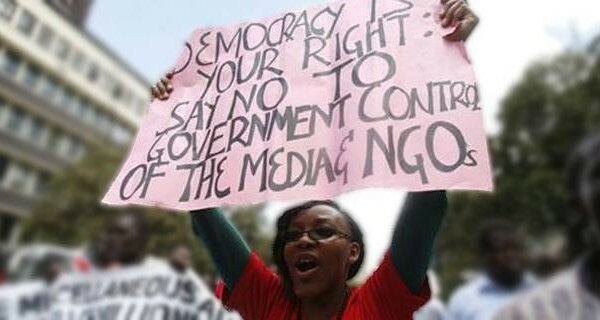 NGOs warn that it “opens the door to silence peaceful government critics and activists” and furthermore seems to act against Uganda’s National Development Plan, which states that the Government should not be engaged in “planning or dictating” the growth of the civil society movement. The greatest concern of observers is for NGOs who are operating on government-sensitive issues – ranging from human rights, corruption and transparency of the country’s largest industry sectors, including oil and mining, among others. Critics of the bill usually refer to the timing of its debate, with the Presidential elections coming up next year, as deliberate. NGOs are presumably feared to create large-scale political turmoil and highlight irregularities during the election process. The concern for corruption during the Ugandan elections is not unfounded, considering the latest developments. On Thursday last week, authorities arrested former Prime Minister under Museveni and self-declared Presidential Candidate for the ruling National Resistance Movement (NRM), Amama Mbabazi. On the same day, Kizza Besigye, opposition politician and also predicted to run for Presidency, was taken into custody as well. Both of them were on the way to meetings with political supporters outside the capital Kampala and, according to police, did not have permission to do so. The two arrests fuelled further accusations by critics that incumbent President Museveni is becoming more repressive and authoritarian. Freedom House, who focus on democracy and citizen empowerment, point out that in the past, NGOs in Uganda have been heavily engaged in monitoring election processes and, in cases of violations, actively confronted the Government. It is these NGOs that are now advocating more than ever for electoral reforms for the upcoming election. The NGO Bill, according to its opponents, is yet more evidence of democracy moving backwards. To quote Freedom House: “To curtail the operations of NGOs through restrictive laws at this point in the electoral cycle would seriously damage the organisations ability to play a watchdog role before, during and after the voting”. Winnie Ngabiirwe, Executive Director of Global Rights Alert (GRA), stated earlier this week in Kampala that, “We know that this law would not stand a chance in a democratic society”. Yes, the bill is being heavily criticised across national and international media. Yes, human rights organisations and civil society do oppose the bill in its current composition. However, it is worth noting that, according to Chapter Four Uganda, legislation on the regulation of NGOs is welcome, if it is about actual regulation, rather than control. Chapter Four adds that around two thirds of the current proposal would need to be amended in order to benefit NGOs and hence the people who rely on their work and support. One of the positive parts of the bill, Chapter Four highlights, is the fact that even though funding sources must be made publically transparent, there is no restriction on these funding sources (unlike in Ethiopia, where more than 10% of funding from abroad means an NGO is considered as foreign). 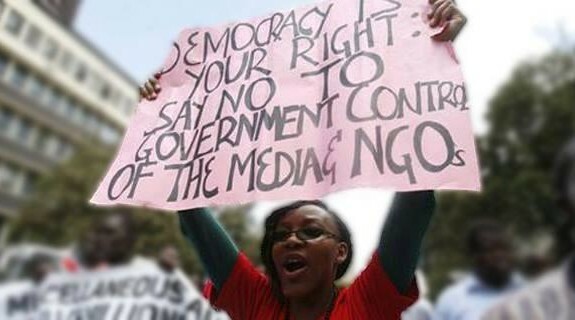 Amending the current proposal, and doing so in collaboration with local, national and international NGOs themselves (who know best about their requirements to do the best job they can), would not only improve Uganda’s current crippled presence in international media but would also – and most importantly – ensure that the basic human rights of individual citizens, who often rely on NGOs because the Government is unable to provide for them, remain the top priority. 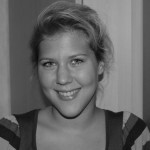 Elisabeth has recently finished her BA in Development Studies at the School of Oriental and African Studies, London, and is currently working as a Research and Campaigns Intern at HART. She is particularly interested in the changing nature and context of contemporary violent conflict, the protection of civilians and the politicization of humanitarian aid as well as the ethics of Humanitarian Intervention.